Nothing can ruin the look of your car more than a severe hail storm. 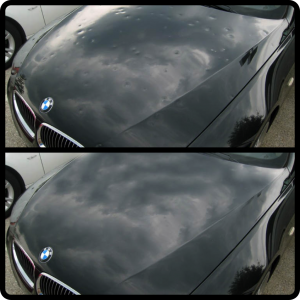 With an extensive network of highly experienced dent by dent Paintless hail removal technicians providing worldwide expertise for more than 20 years! That a customer affected by a hailstorm in their vehicle has to go trough from us receiving your vehicle at anyone of our Denver metro strategic locations or picking your vehicle from your home or place of work and viceversa when the vehicle is completed with full lifetime warranty and extreme satisfactory results! Copyright © Year, Automotive Reconditioning Solutions. All rights reserved .